I didn’t even notice how much SPP “pimps up” the X3Fs before I started to experiment with the X3F Tools converter which doesn’t know the many particularities of Foveon sensors and the many tricks in X3F image editing. Since it is too many insights that I could gain by comparing both converters, I’ve decided to write two blog entries. In this first one, I’m going to deal Merrill’s X3Fs and its noise. 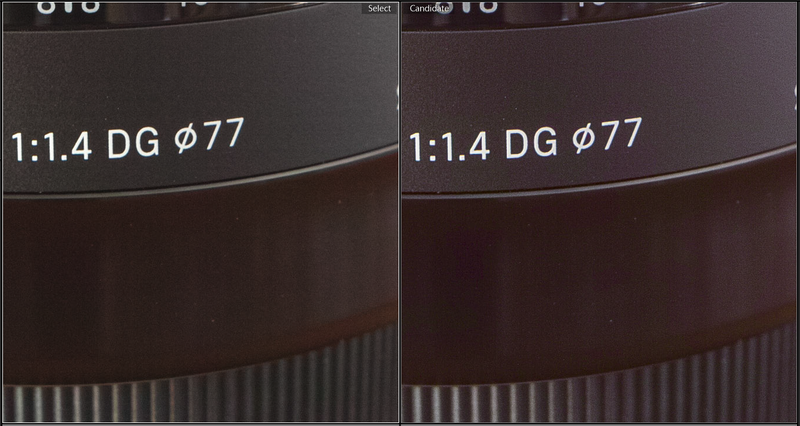 I took 7 pictures each with the SD1M and the DP2 Quattro, ranging from ISO100 to ISO6400, and developed them in SPP and X3F tools respectively. 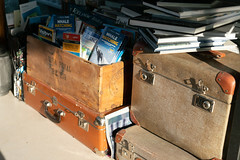 You can find the full-resolution images in this Flickr set. In the second part, I’m going to focus on the Quattro and its X3Fs. 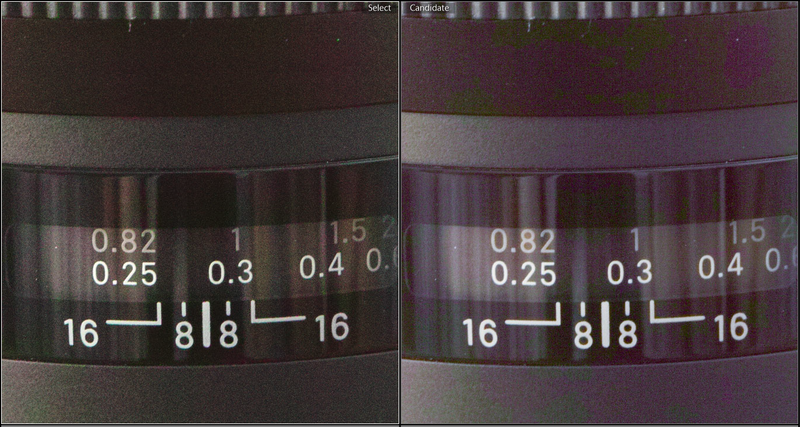 In SPP 6.3 I entirely scaled down the sharpening (-2) and enabled automatic white balance while leaving everything else on 0 or deactivating it (such as Luma Noise Reduction). 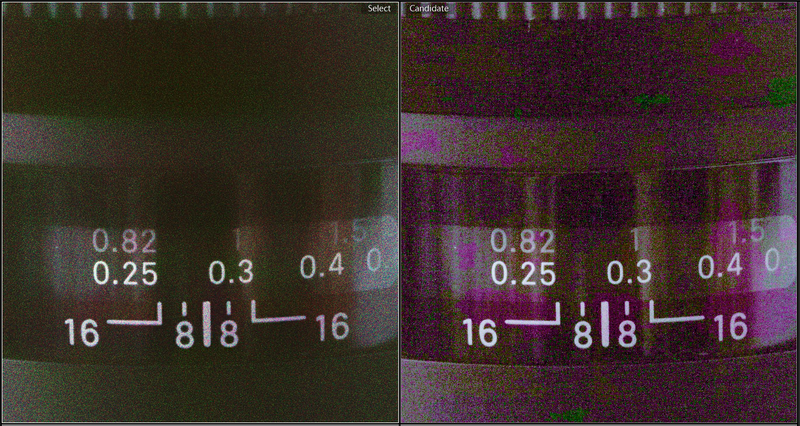 As, according to my own experience so far, X3F Tools reduces color noise at low ISOs very effectively, I also enabled Chroma Noise Reduction in SPP (point in the middle). The first thing I noticed is that the Merrill’s X3Fs clearly appear much darker when developed in SPP as opposed to X3F Tools. The difference is half a stop and therefore it matters in practice. Below, I’ve added a screenshot of both pictures. 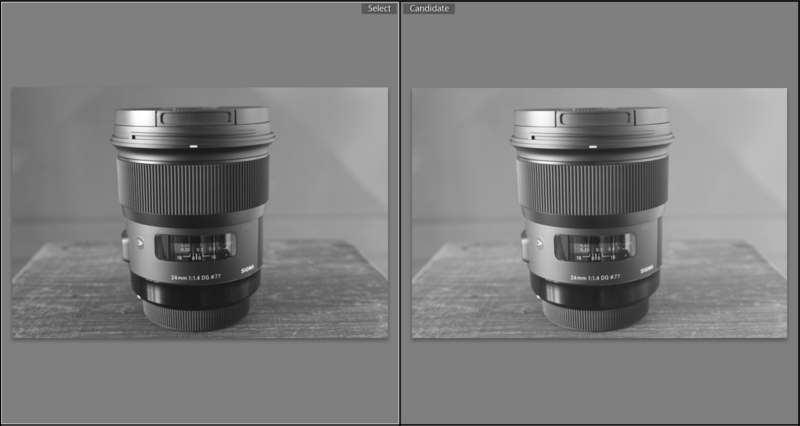 The left photo was developed in SPP while the right one was converted with X3F Tools. The image developed in SPP still has a slightly higher micro contrast, however, the magenta-colored color blotches are also more pronounced. 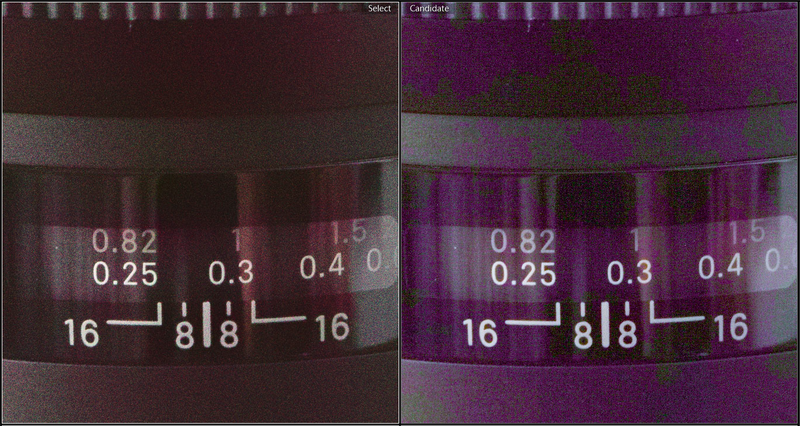 Noise reduction in X3F Tools (right) works out really well and provides better results than Chroma Noise Reduction in SPP 6.3 (left). At least up to and including ISO200. 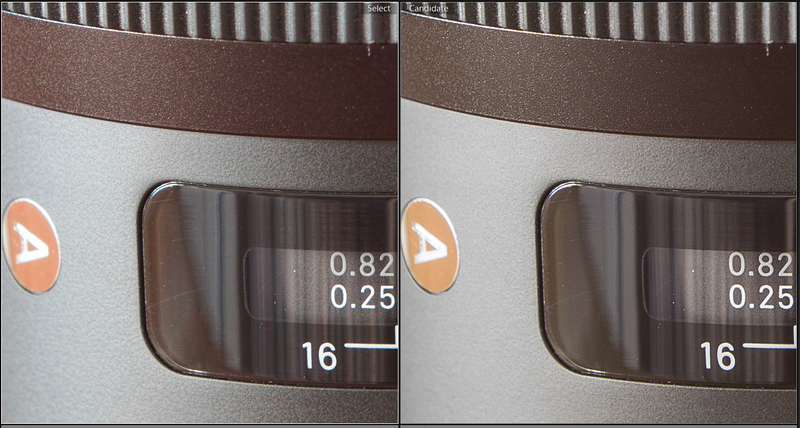 Beyond ISO400 something definitely goes wrong in X3F Tools because huge color blotches turn up, which I’ve never seen before in photos developed in SPP (left). Between ISO1600 and ISO6400 these color blotches are so intense that you immediately notice them – even in minimized pictures. 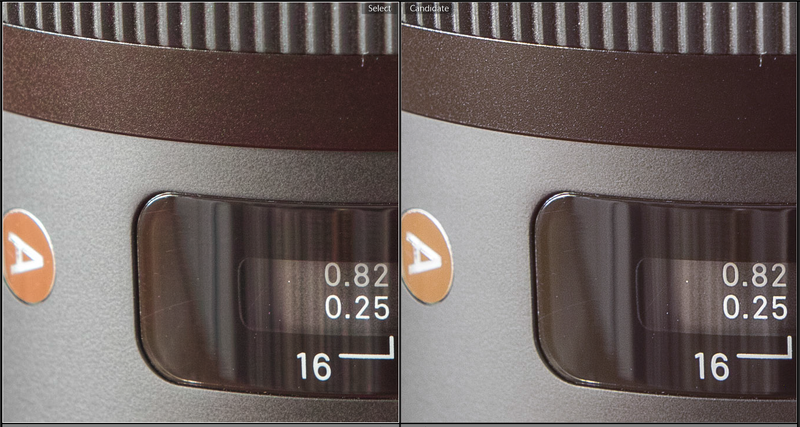 By and large, SPP copes much better with the noise of the Merrill sensor. Although X3F Tools has better noise reduction in the most frequently used sensitivity range between ISO100 and 200, a Merrill owner won’t benefit from using this tool. The reason for this is the strong colored vignette that is extremely hard to remove.